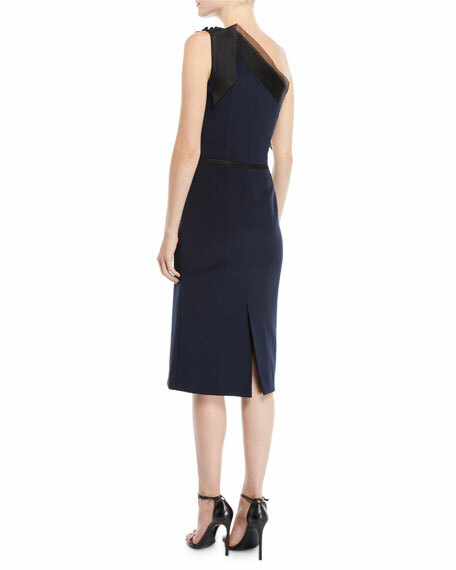 Atelier Caito for Herve Pierre silk crepe cocktail dress. 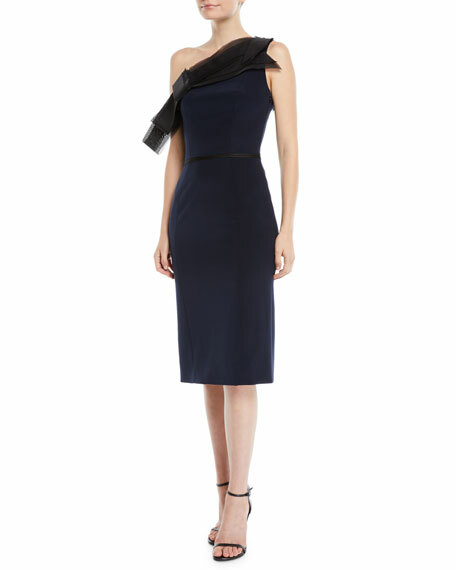 Badgley Mischka off-the-shoulder crepe cocktail dress. Sweetheart neckline. Banded short sleeves. Sheath silhouette. Hem hits the knee. Back walking vent. Concealed back zip. Polyester/spandex. Lining, polyester. Dry clean. Imported. 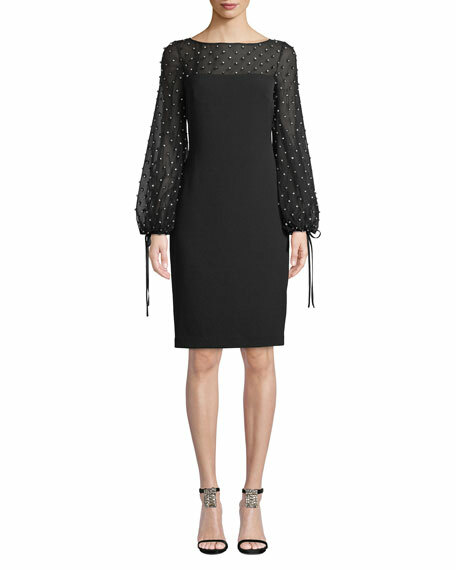 Jonathan Simkhai cocktail dress. Sweetheart neckline. Sleeveless; removable straps. Body-conscious silhouette. Adjustable O-ring detail. Draped skirt. Midi length. Side zip. Acetate/rayon/spandex. Combo, acetate/nylon/spandex. Dry clean. Imported.